I originally saw this idea via Pinterest and knew it had to happen. I went ahead and used the BEST SUGAR COOKIE RECIPE EVER!! to make the cookies. Seriously. Hands down, this is the best sugar cookie recipe around. 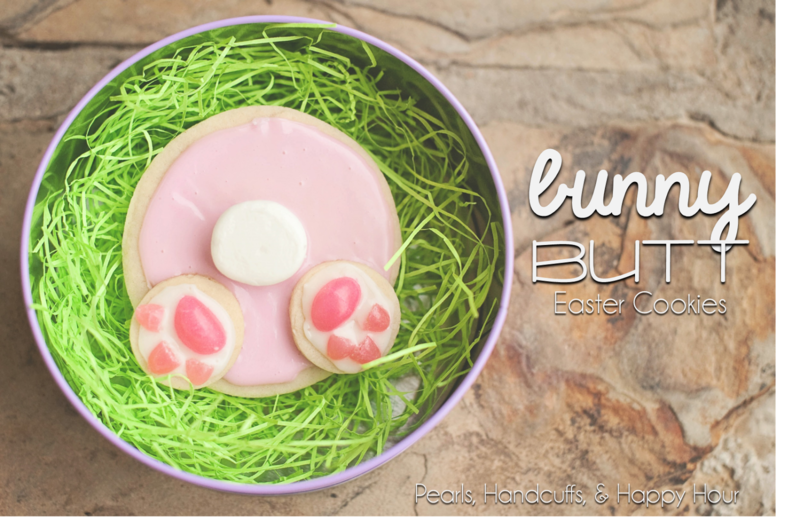 The dough doesn't have to be chilled and the cookies always hold their shape when baking!!! And, they taste AMAZING!!!! Ha!!! Not exactly as cute, but they'll do :) I used my kitchen shears to cut the large marshmallows in half for the tail. I liked that just a smidge better than the mini mallows. I used jellybeans for the paws/feet. I little time consuming, but stuff like that is cathartic for me so I didn't mind it too bad. The container (Wal Mart) was big enough for two cookies and then I placed the little gift tag right on top so the boy's teachers would see it when they opened up the tin. I also saw these on Pinterest and have been wanting to make these for the last couple of years. These were super easy...and cheap!...to put together. 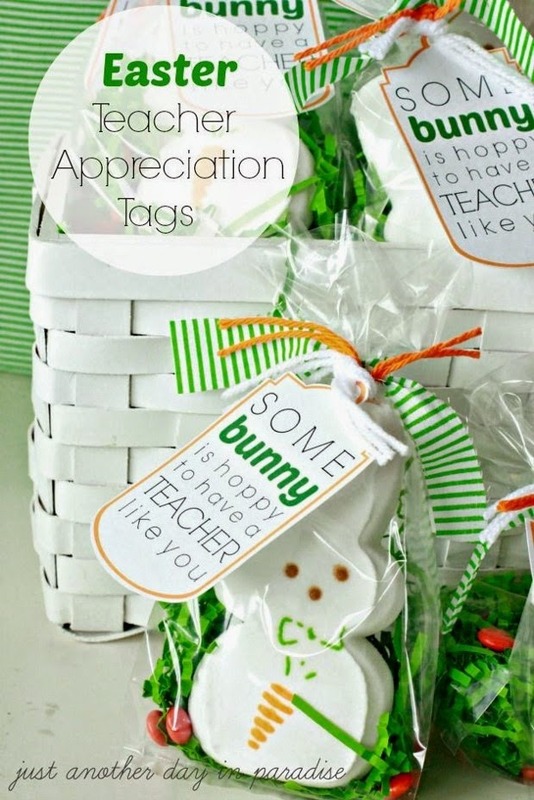 Great little gifts for a classroom or the neighbors. 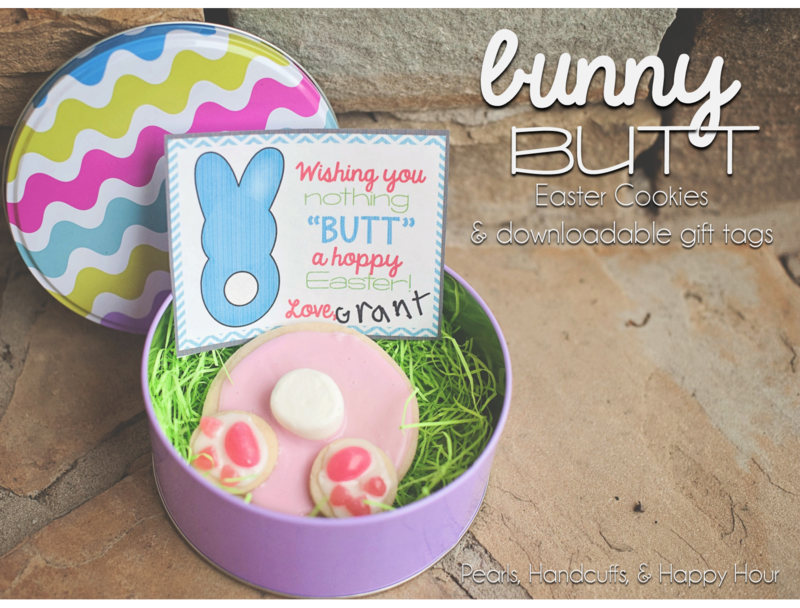 Would be so cute for a party favor, too!! 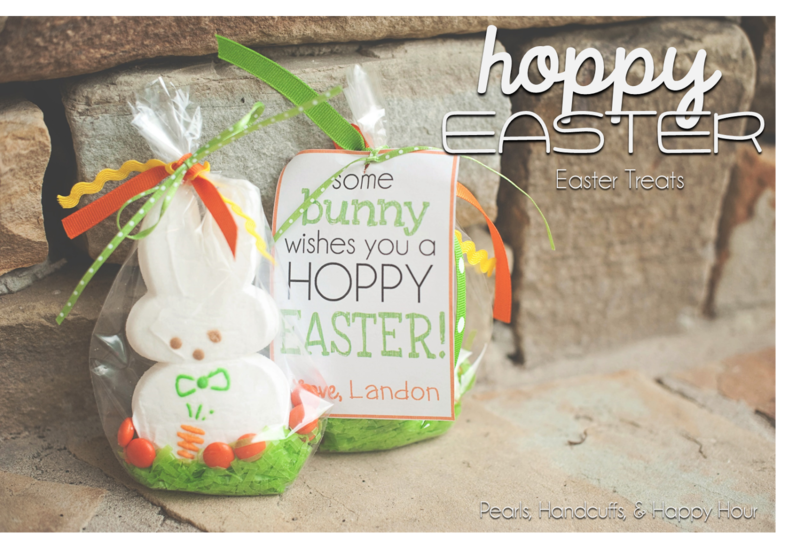 To grab the gift tags for the treats, just click HERE. 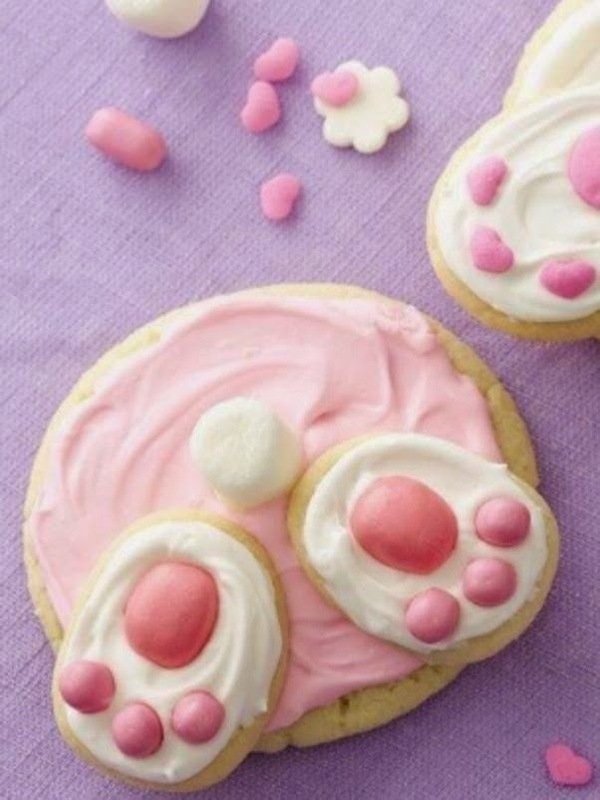 These are the cutest cookies ever!! I may have to take them to school! Happy Easter, Cara! Thanks for sharing all your great ideas!